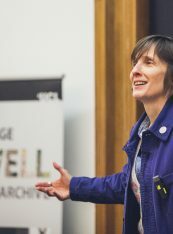 There are currently two Orwell Lectures: The Orwell Memorial Lecture, held annually at University College London and The Orwell Lecture in the North at the University of Sheffield, in association with The Sir Bernard Crick Centre. 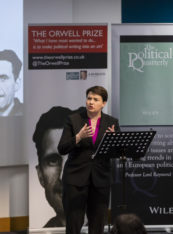 The Orwell Memorial Lecture has been given annually since 1989. The lecture has attracted notable speakers including Dr Rowan Williams, Dame Hilary Mantel, Robin Cook and Ian Hislop. Originally held at Birkbeck, University of London and the University of Sheffield. This page features a comprehensive list of lectures, with links to recordings of the lectures on The Orwell Foundation YouTube account, and/or published transcripts where available. 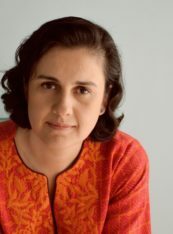 Kamila Shamsie is the author of seven novels, including Burnt Shadows and A God in Every Stone. Home Fire won the Women’s Prize for Fiction 2018. 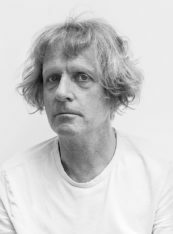 The inaugural Orwell Lecture in the North was delivered by Turner Prize-winning artist Grayson Perry. The lecture, which was covered in The Observer, was delivered to a capacity audience at the Octagon Centre, Sheffield, was not recorded and there is no transcript available. The Orwell Lecture in the North is a collaborative venture between The Orwell Foundation and The Bernard Crick Centre at the University of Sheffield. Ruth Davidson is the leader of the Scottish Conservative and Unionist Party and the Member of the Scottish Parliament for Edinburgh Central. After graduating from Edinburgh University, Davidson worked as a BBC journalist and signaller in the Territorial Army. She joined the Conservative Party in 2009 and was elected leader in 2011. The Orwell Prize Shortlist Lecture 2017 was produced in partnership with UCL’s Constitution Unit. The Orwell Memorial Lecture 2016 was given by editor of Private Eye, Ian Hislop at University College London. 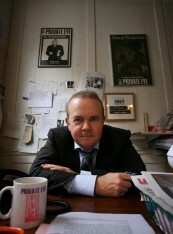 Ian Hislop is a writer, editor and broadcaster. 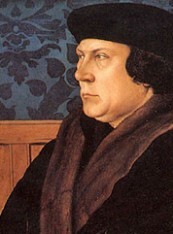 He was educated at Ardingly College and Magdalen College, Oxford. He has been editor of Private Eye since 1986 and is probably best known for his role as a regular team captain on the BBC show Have I Got News for You. 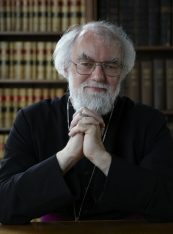 Dr Rowan Williams, former Archbishop of Canterbury, gave the 2015 Orwell Lecture on 17th November 2015, at University College London. A full transcript of Dr Williams’ lecture is available on The Orwell Foundation website. David Kynaston is a historian and author of City of London: The History and Austerity Britain, 1945–1951. An adapted version of the lecture is available courtesy of The Guardian. 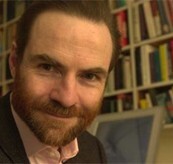 British historian, author and commentator, and Orwell Fellow Timothy Garton Ash gave an Orwell Lecture at the inaugural Irrawaddy Literary Festival in Myanmar in 2013. Professor Christopher Andrew is a historian of modern and contemporary history at the University of Cambridge and author of Secret Service: The Making of the British Intelligence Community (1985). 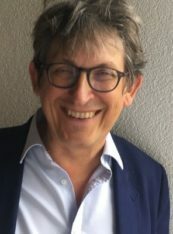 Alan Rusbridger was the editor-in-chief of The Guardian newspaper for twenty years (1995 – 2015). He is now the Chair of the Reuters Institute for the Study of Journalism. Sir William Robert Ferdinand Mount, 3rd Baronet, FRSL, is a British writer, novelist and columnist for The Sunday Times as well as a political commentator. Dame Hilary Mary Mantel, DBE, FRSL is an English writer whose work includes personal memoirs, short stories, and historical fiction. She is a twice winner of the Man Booker Prize. 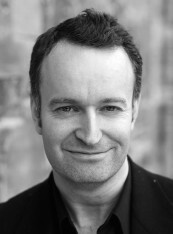 Andrew O’Hagan, FRSL is a Scottish novelist and non-fiction author. 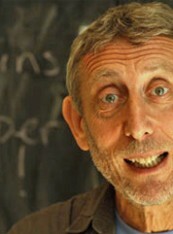 Michael Rosen is an English author, novelist and poet best known for his work for children. A transcript of Rosen’s lecture is available courtesy of his website. Neal Ascherson is a Scottish journalist and writer. He won The Orwell Prize for Journalism in 2004. 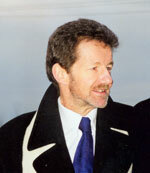 David John Taylor is a British critic, novelist and biographer. After attending school in Norwich, he read Modern History at St John’s College, Oxford, and has received the 2003 Whitbread Biography Award for his biography of George Orwell. His novel Derby Day was longlisted for the 2011 Man Booker Prize. He is a trustee of The Orwell Foundation. 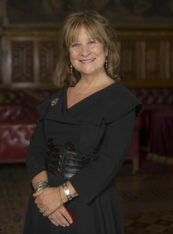 Helena Ann Kennedy, Baroness Kennedy of The Shaws, QC, FRSA, HonFRSE is a British barrister, broadcaster, and Labour member of the House of Lords. Baroness Kennedy is a current patron of The Orwell Youth Prize. Stefan Collini is an English literary critic and academic who is Professor of English Literature and Intellectual History at the University of Cambridge and an Emeritus Fellow of Clare Hall. An excerpt of the lecture is available courtesy of The Independent. 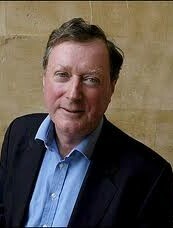 Patrick Wright is a British writer, broadcaster and academic in the fields of cultural studies and cultural history. Iain Sinclair FRSL is a Welsh writer and filmmaker. Much of his work is rooted in London, most recently within the influences of psychogeography. Martin Harry Wolf, CBE is a British journalist who focuses on economics. A version of the 2000 lecture is available courtesy of the European Business Review. Sir Bernard Crick was a British political theorist and democratic socialist whose views can be summarised as “politics is ethics done in public”. He was the founder of the original Orwell Prize and author of George Orwell: A Life. Peter Hobley Davison, OBE, Ph.D., D.Litt., Hon. 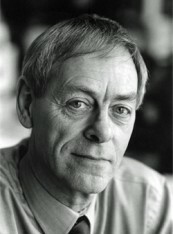 D. Arts, is emeritus professor of English at Glyndŵr University. Davison is a leading authority on the life and works of George Orwell and is editor of The Complete Works of George Orwell (1998). Frank Ernest Field DL is a British independent politician who has been the Member of Parliament for Birkenhead since 1979. From 1997 to 1998, he served as the Minister of Welfare Reform in Tony Blair’s government. 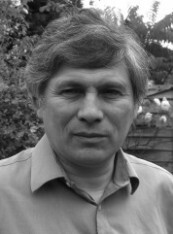 Richard Lacey is Professor of Clinical Microbiology at Leeds University. Lacey became a household name when he warned the world against BSE and variant CJD (‘Mad Cow Disease’). 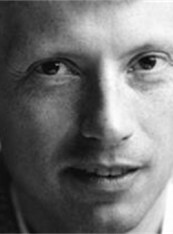 Anthony Giddens, Baron Giddens is a British sociologist who is known for his theory of structuration and his holistic view of modern societies. He is the author of Beyond Left and Right (1994) and The Third Way: The Renewal of Social Democracy (1998). Roy Sydney George Hattersley, Baron Hattersley, PC, FRSL is a British Labour politician, author and journalist from Sheffield. He was MP for Birmingham Sparkbrook for 33 years from 1964 to 1997. He served as Deputy Leader of the Labour Party from 1983 to 1992. The late Robert Finlayson Cook was a British Labour Party politician, who served as the Member of Parliament for Livingston from 1983 until his death in 2005, and served in the Cabinet as Foreign Secretary from 1997 until 2001. He resigned from his positions as Lord President of the Council and Leader of the House of Commons on 17 March 2003 in protest against the invasion of Iraq. Dame Penelope Margaret Lively is a British writer of fiction for both children and adults. Lively has won both the Booker Prize and the Carnegie Medal for British children’s books. Ralf Gustav Dahrendorf, Baron Dahrendorf, KBE, FBA (1929-2009) was a German-British sociologist, philosopher, political scientist and liberal politician. Bruce Kent is a British political activist and a former Roman Catholic priest. Active in the Campaign for Nuclear Disarmament, he was the organisation’s general secretary from 1980 to 1985 and its chair from 1987 to 1990.